​Swan Lake Nature Study Area is a treasured bird watching spot in north Reno and a designated Important Birding Area because of its unusually diverse population of birds, including Tundra Swans. A 600-foot floating boardwalk and other trails allow visitors to enjoy the wetlands area. For several years, LAS has scheduled an annual cleanup of the Swan Lake Nature Study area. 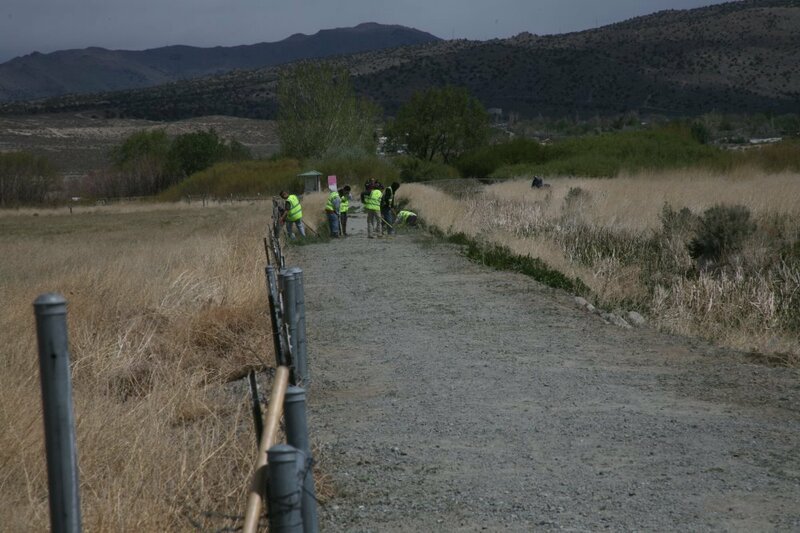 This year, LAS is teaming with Keep Truckee Meadows Beautiful (KTMB) to clean up Swan Lake, Please join us for this year’s cleanup. KTMB will provide, buckets, push brooms, litter pickers, and shovels. If you have members who would like to bring their own work gloves and shovels, that would be helpful. We ask that each volunteer wears sun protective gear, long pants, sturdy/closed toe shoes, and bring water. Because of the past flooding at Swan Lake, if volunteers have waterproof shoes, we recommend bringing those as well. Closed-toe shoes or boots; waterproof boots are highly encouraged as the area will be wet or muddy. Because of all the water, children are not encouraged at this clean-up site. You need to register with Keep Truckee Meadows Beautiful so we know how many people will be participating. 50 volunteers are needed. ​Be sure to signup early. Click HERE to register with KTMB (scroll down the page until you find "Swan Lake" and sign up there). ​If you need more information, please contact LAS’s Mary Luzier at maryluzier@gmail.com; 775-223-4310. 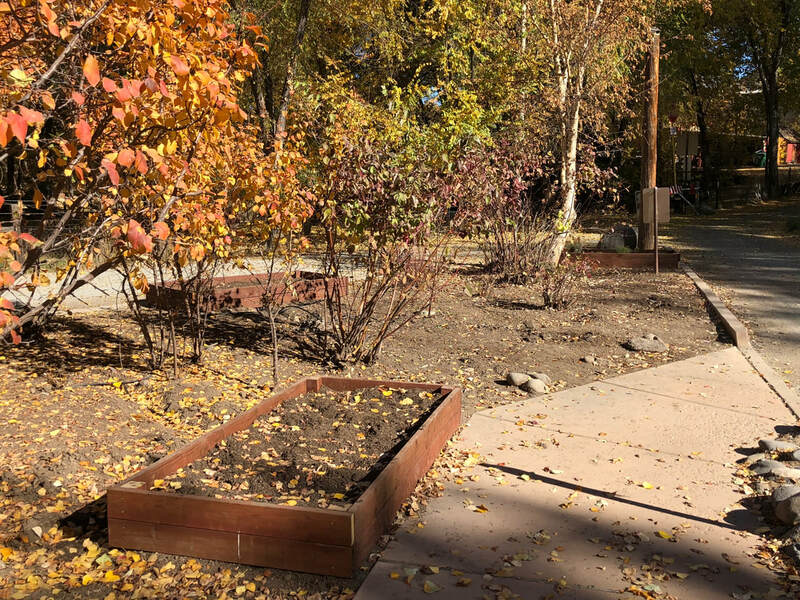 In 2017 we embarked on a program of planting of bird-friendly and native plants in local parks when invited. Oxbow park was the first to ask. The project was coordinated by Conservation Committee members, particularly Judith Lockwood. In 2018, she engaged with a young man, Micah, who was willing to work on the project while working on his Eagle Scout badge. The board set a budget and a recommendation that the project go forward. 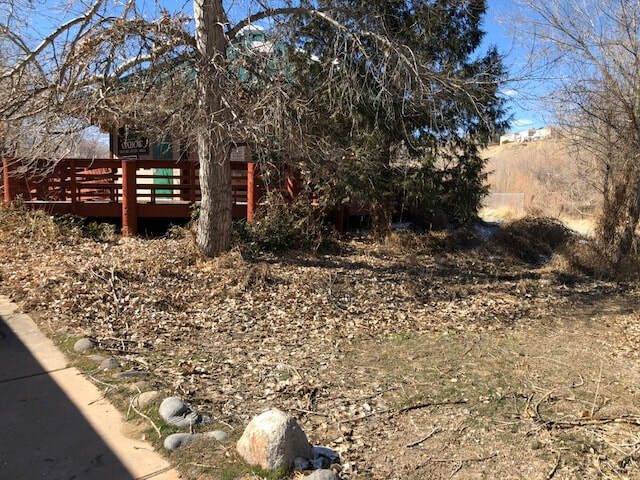 Below is the site we started with and the first stage of the project, the planter boxes for native plants come spring 2019. We will bring you more pictures as the plants go in the ground and grow!